Now, everyone is going crazy over the latest offering of the most expensive fruit on earth - Apple that is! In a recent launch, Apple unveils their latest and hottest Iphone model from the series 5 family Iphone 5S and Iphone 5C (their names are starting to sound like breast sizes to me). Iphone 5C - The model comes in green, blue, yellow, pink and white. The most colorful Iphone collections to date. Sort of high quality, classy, plastic phones. My research also says that this may be the cheapest Iphone ever launch in the market. 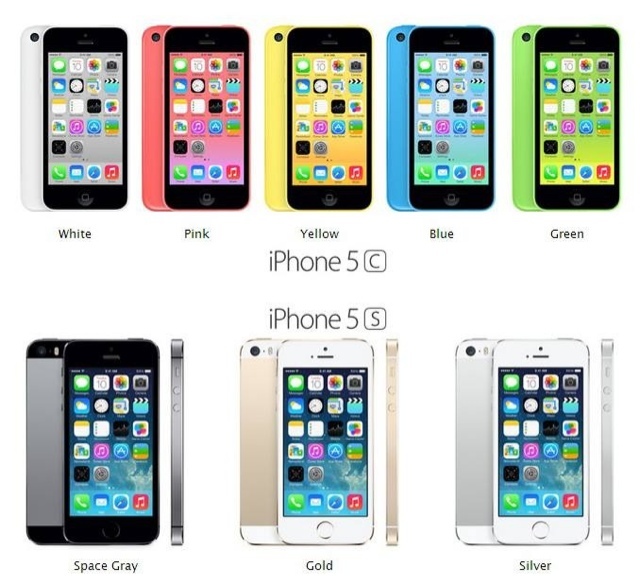 Iphone 5C is more of a variant of Iphone 5. Iphone 5S - Obviously an improved version of Iphone 5. This time around this version offers a fingerprint sensor/touch ID password feature. So far, the best security feature Iphone has to offer. It also offers slow motion videos, better camera and 64 bit processor for faster speed. The question is, how soon can Philippine market bite these latest Apple collection? Well, for now, enjoy these video demo for appreciation.